Here it is! 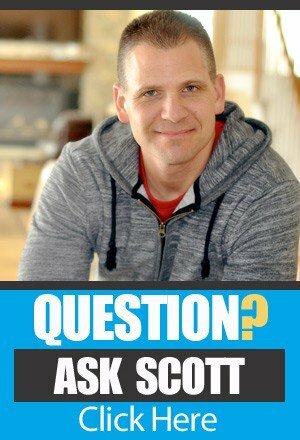 The “Ask Scott” session of the Amazing Seller podcast. This is where we talk about all kinds of things relating to online business, private label sales on Amazon, and anything having to do with making a better life for yourself and making a difference in the world. On this episode, you’re going to get straight, helpful answers to real life questions. And the person answering your questions is Scott Voelker, an experienced online businessman, and Amazon seller. You can also hear how to ask your own questions, so be sure to listen and learn! The power of surrounding yourself with like-minded people. Scott has recently moved from upstate New York to South Carolina and he’s noticed the difference his surroundings are making on his own mindset. In particular, he’s aware of the people in his neighborhood. Their focus on fitness and healthy eating are impacting Scott and his family, encouraging them toward their own version of fitness and health. It’s an example of why the people you surround yourself with are hugely important for your life – and Scott’s got some encouragement for YOU along that line, on this episode. What are the pros and cons of listing a new product as a variation VS a stand alone product? Many people are discovering opportunities to create multiple products based on their first product. Sometimes it’s as simple as creating a variation of the product (color, size, etc.) and other times it’s a new product that is different in a unique or significant way. 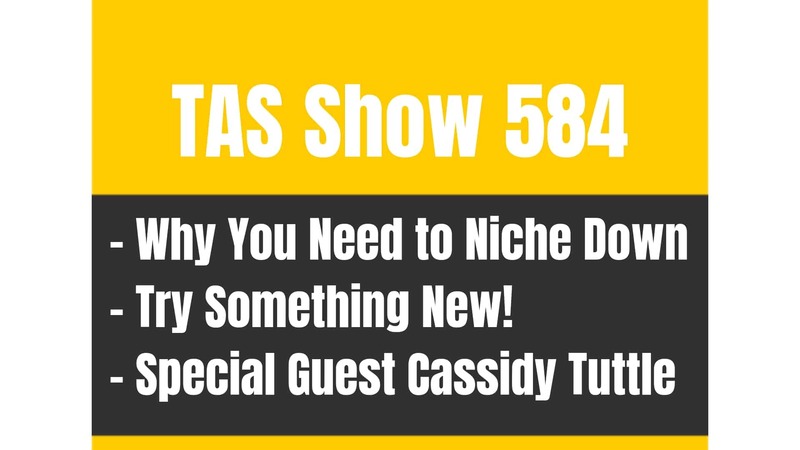 On this episode, Scott covers the advantages of variations VS new product listings and encourages Amazon sellers to think about who they are targeting with their product as one way to decide whether there are advantages to one approach over the other. Be sure you listen if you’re interested in creating multiple products as a spin-off from your original product. How does my product rating relate to my number and quality of reviews? There isn’t any way to know for sure how your product rating relates to your reviews simply because Amazon doesn’t reveal how its algorithm works when it comes to product ratings. But there are some things you can focus on to help you improve your product rating. On this episode of The Amazing Seller, Scott gives a couple of very practical things you can focus on to improve your product rating overall. Both are simple but do take some time. So make sure you listen and commit yourself to doing the work to improve your business and products. I’m creating product packs from a bulk quantity but I’m having trouble scaling. A listener called in to ask for help from Scott concerning scaling his sales to a higher level. He’s purchasing bulk size orders of various products and breaking the bulk packaging apart to place the individual products into smaller quantity packages. The problem is that the labor of doing so is slowing down his ability to scale his sales. It’s a very creative and intriguing idea that’s getting good sales traffic but he wants to have more opportunity. Scott’s got some great ideas about how he can leverage others to help him scale the business. [2:20] The TAS power hour – a Facebook/Periscope broadcast – Fridays 1PM Eastern. [4:01] The power of surrounding yourself with like-minded people. [9:12] QUESTION ONE: What are the pros and cons of listing variations VS stand alone products. [16:08] QUESTION TWO: My product rating is at 3.9 out of 5. To me it doesn’t make sense when I look at my reviews? Can you shed some light? [25:15] QUESTION THREE: I’m having trouble scaling my sales due to some logistical issues. Can you help me think it through? [34:30] The TAS Power Hour broadcast – and how you can get involved. …submitting the questions and that’s why I keep coming back. If you guys stop submitting questions well then this little part of the podcasts goes away. You guys are awesome, you’re submitting questions and I’m doing my best to get to them as quick as possible. If you do have a question and you want me to answer it on an upcoming Ask Scott session, just head over to theamazingseller.com/ask and you can do that. You can record a voice message there, leave your first name please. You guys have heard me say that before and just maybe even where you’re tuning in from and yeah, ask that question. I wish you guys could see me right now actually. I’m actually very animated when I am doing the podcast and I cannot not be that way because I lose the energy. It’s weird. I’m not even an Italian but I talk with my hands a lot. I love Italian food and even one little fun fact, love Italian food. I would love to be brought into an Italian family just for the Sunday dinners. I love, love the Italian culture. Anyway, that is just a little side note there. I’m just really animated I guess because I’m just fired up all the time about just like diving into this stuff and talking about his stuff and the way I get that energy out is I am very animated. I’m very much using my hands. If you guys could see me right now you could see that I’m pretty fired up. All right, we are going to answer some questions today. Before I do though I wanted to remind you about the show notes as all the episodes have. We have show notes, we have transcripts. [00:02:04] Scott: You can fully download those or you can just read them on the blog. You can head over to theamazingseller.com/259 for this episode that is, for 259. That’s the episode number and you’ll get the show notes and the transcripts and the links and all that good stuff over there. The other thing I wanted to also mention here which we’ve been kind of doing a little bit of a pilot with, you guys probably heard on a past episode recently that we did something we’re calling TAS Power Hour and it’s myself, Chris Shaffer and Dom Sugar, the candy man, and we’re just getting together like we normally do, we just talk about this stuff and we’re now turning it into more or less like a little broadcast. We’re doing it on Friday’s at one o’clock pm eastern time on Facebook Live and on Periscope. We’re also recording those and I will probably be featuring some of these on the podcast. Some of you said that you wanted them to be replayed because you couldn’t either attend or it was hard to see on Periscope or for whatever reason. It’s good content and it’s good discussion and that’s what we’re going to be doing. We’re doing like a little “pilot”, just to see how it goes and see how the show upgrade is and all of that stuff. So far it’s been phenomenal and it’s growing every single week. If you want to hang out with us live, ask some questions, listen to our discussions about what’s happening in the Amazon space or the ecommerce space or just randomly what’s going on in our businesses and other people’s businesses that we’re helping with, all of that is being discussed on these TAS Power Hours and it’s a way for us to connect with you as well so we can answer any question. Again, that’s Fridays at 1PM eastern time. This is something we might be doing just temporarily but right now it seems like we might doing this on Fridays at 1 o’clock for a long time as long as the attendance keeps growing and I think it will. [00:04:01] Scott: The other thing is before we jump into this session of Ask Scott, I did want to just bring some awareness to something for you. It’s so powerful, you guys know that I like to give you like a little bit of a tid bit or something that’s on my mind or something that I’m seeing not just like business wise but it always relates back to business because I think like relationships and lifestyle is all kind of it all goes back to what we are doing all of this for. One of the biggest things that I’ve noticed since I’ve moved to South Carolina, you guys are brand new to the podcast, I recently moved from Upstate New York to South Carolina. It was pretty big move about 800 miles and it was a little scary, like risky. We just picked up and moved because we wanted to move south. My oldest daughter is getting married and my son just graduated high school so we waited for him. My youngest is nine and she’s in third grade. It was a decent time to for her. Long story short is this. Since we’ve moved we had a lot of questions like what’s it going to be like? Are we going to fit in? Are we going to like the people? I just have to say that when you surround yourself with like-minded people, whether it’s lifestyle, whether it’s business, you start to take on those traits of those people. [00:06:00] Scott: It makes you feel like that and it gets you to move. Same thing in business. If you’re surrounding yourself with these types of people that are actually doing something or not complainers… If you’re surrounded by a lot of people that are complainers we all know that you just start to complain too. You go out to dinner you start to complain like the people you’re hanging out with. It’s so true if you think about that. Think about people that you hang around with. You start to even maybe sometimes talk their language in a sense, like their slang. I do. I’ve done it. Sometimes it’s not a bad thing, it’s funny and whatever but my big take away here and this just happened the other day and I was just like wow, my wife now is going on these walks with these new friends and they are all like active. They are all like wanting to go for walks and they all want to eat good and now that’s coming back into our life because again you start to be more conscious about what you’re doing on a day to day basis. It’s just really awesome to see that happen and for myself to look back now and go, “Wow, let’s just take a break for a second and look around and see the people we are now associating ourselves with,” and then see what’s that’s doing to our own life. It’s crazy how it can really impact your happiness, your consciousness of being health or just like being a better person. We’re surrounded with people all the time, every single day that are just really, really nice and it makes you want to be nice. My little take away here again is if you’re not feeling like you’re surrounded with like-minded or people that are pushing you in the right direction, go find those people. Go find those people. Whether it’s going to meetup.com and finding groups that are entrepreneurs that understand it because let’s face it, some people just don’t understand what it takes to be an entrepreneur. They just don’t get it. [00:08:00] Scott: It’s like, “Oh, you got to go to college, you have to go to corporate in order to be successful, that’s what you need to do”. When you start to talk to people that are like that then it makes you to start to doubt what you’re doing. I don’t know if you’ve ever felt like that but that’s what it could be like. Again, my big, big take away and I just thought about this the other day because as I was just looking around and I was talking it all in and I was looking at my lifestyle now and how I’m feeling I seen what a difference it’s taking. I’m not saying I was unhappy in Upstate New York. I had a lot of great friends there, I had a lot of great memories there and everything. This here to me clearly so far is just a winning experience and I’m really excited to be spending many years here now. Again just wanted to share that with you. If you are not feeling that right now or maybe it’s time to take maybe a little bit of an internal audit of what you’re feeling and what you’re surrounding yourself with and see if you’re taking on those traits in a good way or a bad way. Just little food for thought. Enough on that, I didn’t mean to go on that big rant there or that big discussion but it’s worth talking about. Let’s go ahead and let’s get started with today’s episode. What do you say? Let’s listen to today’s first question and I will give you my answer. What do you say? Let’s do this. [00:09:20] Johnsy: Hey, Scott. My name is Johnsy. I’ve listened to your podcast for the last four months. Absolutely love it. You’re a saint to me, a Godsend and an awesome human being. I moved to San Diego about four years ago, things having to do with a job. I ended up taking a job involving a five hour commute daily. I’m on a salary which pays about half my living expenses so I was desperate to find something else to supplement my income. Had to be substantial and with luck, chance, fate, powers of the universe, I stumbled upon your podcast and I’ve never looked back. Thank you, thank you, thank you. To my question. I’m about three weeks away from launching my first product. I’ve already started thinking about my second product which is essentially a variation of my first. The first was designed for adults and the second is pretty much the same, just for kids, it will have different colors and slightly less components. Essentially it’s the same. I’ve been considering whether I should go total new listing or list it as a variation of my current listing and understand the benefits of doing it as a variation but my question was what are the pros and cons I guess of listing it as it’s own listing and not as a variation and going through the whole launch process separately. It’s a new product for kids, nothing else like it on the market, I mean a part of me feels that it should have it’s own listing but I just want to understand what the true benefits of that were. I’m sure you answered this question before but just wanted to ask it. Appreciate your help. Hope to hear back from you in the next few podcasts and just keep the going. The podcasts are amazing and just can’t thank you enough. You’re Godsend. Thanks man. [00:11:23] Scott: Hey Johnsy. I think that’s how you said your name and I’m sorry the audio was not the best but if not, I apologize but hey, that’s so much for the question. I’m so glad that you were able to find the podcast and it’s been helpful to you. Again guys, it’s all about to me connecting with people to even just make one slight little switch in the mindset to think about other opportunities that are out there which there are tons. This is just one. To answer your question, it’s a good question. If you have a product that you could add a variation to, it’s usually a great idea. You have less to manage because now you have one listing and then you control the variations underneath that listing. You get the benefits of having these variations as if you had new listings or these other listings. The only thing you don’t get is those different spots that you get to take up on page one or page two or wherever you’re ranking. But with your situation here, you have something that’s designed for adults and you have something that’s designed for kids. I would say, in this case that I would think that you would want to list those on those two separate listings. Let’s just say for example you have this one product, it’s made for adults and now that product can come in red, blue, yellow or green or four different sizes or maybe three different styles. It’s for the adults. Now, if I was to go to that listing and then I would see that it’s for adults and then you have a variation that you have a kid version of it, I might not find that as easily as if it was on its own listing if I was looking for it and especially if it hasn’t had sales or as many sales so it’s going to be harder to do that unless I start driving all my promotions to that variation but now each variation is going to be battling themselves to which one is going to show up first. We all know that if you have a red and a blue variation under the same parent listing one of those is going to show over the others depending on the sales. You’re not going to have two variations for the same listing show up like one on top of the other in a search query. [00:13:45] Scott: That’s not going to happen but if you have two separate listings one a kid version, one an adult version they can show up like above each other or below each other like that can happen. That’s powerful because now you’re again taking up more real estate. You could do it the other way and if it doesn’t work out you could always transition that over to its own listing but then again, you’re doing kind of double the work and then possibly needing to do that later and then you might have to take your reviews and start over again. I would say in this case, I would like to see two different listings because they are two different people that we’re targeting. Again, think about who you are targeting, in this case it’s an adult or a kid or a child. Those are two different people that we’re targeting and if someone searching for a kid version, you want them to land on that listing not just on the variation. Hopefully this makes sense, hopefully this is helpful but again there is not really a right or wrong. This is just a suggestion and again, you may go to the two different listings and then decide to merge them underneath one listing. You can do that as well at a later date. It’s a little bit more complicated but it’s totally possible to do. I would say in this case and anyone else that’s listening that is in this situation think about the market that you are going after and the particular person and then think about if you are going to be able to have that person come into the listing and then the variation makes sense to the main product. Like I said if you go into a listing and it’s for an adult, and then you see there’s a variation for a kid version yes that could work but I think it could work better if it was separate. That’s just me. Again this is just a suggestion. It doesn’t mean it’s right or wrong. [00:15:48] Scott: It means that’s probably the angle that I would do. Hopefully this has been helpful. Just keep me posted on that as well and keep up the great work and thanks so much for being a listener on that long commute. I really do appreciate it and I’m so glad this was able to just give you that little bit of a bump to get out there and do something. Awesome job. All right. Let’s go ahead and listen to another question and I’ll give you my answer. [00:16:14] Wassim: Hey there Scott. How’s it going? It’s Wassim from Dubai. I just want to say I’m a huge fan. You’ve been that beacon of lighting of guidance for me for the past six months and your podcast has been super helpful. My question is I released a product and knock on wood it’s been really successful. I’ve been averaging, it’s my first product by the way, I’ve been averaging 35 to 40 sales a day. That’s been going really well. My question is regarding the rating, the product rating it’s at 3.9 out of 5. However, the majority of my reviews are positive 4 or 5 stars. We’re talking like 84% at least I would say 86% at least are positive reviews when 14% are negative reviews. However, the rating is at 3.9/3.8. It doesn’t make sense. It’s slightly less than 4 stars. When I hovered over the rating they said that the way they calculate it is they use an algorithm that’s based on whether the review’s verified or not, how recent it is and how many helpful votes it received. I’m getting a lot of positive reviews a ton more than negative reviews. However, my rating is not going up. Do you know what the solution is? Have you faced this issue before? If more people find the reviews helpful will that raise my rating? Thank you very much Scott. [00:18:23] Scott: Hey Wassim. Thank you so much for the question and I do appreciate you being a listener and I just want to say thanks man. You’re awesome. Keep it up man. Keep up the great work. 35 units being sold per day, it’s phenomenal that’s phenomenal. I want everyone listening to yes say it’s possible but also understand that that’s kind of a home run in a sense and it doesn’t mean that it’s always going to happen out of the gate. Again, you guys have heard me talk about the 10 by 10 by 1. That’s ten units being sold a day, at $10 profit for one product. That’s a good target to shoot for. We’re trying to get singles and doubles in the game here and it seem like Wassim you hit a homerun on that. 35 units a day is a pretty solid start. Congratulations on that. To answer your question and I don’t think there’s any way for us to know for sure because it is an algorithm type of thing. When they start to give your listing a grade in a sense. There’s different factors in there. How many people up voted, how many people down voted? Was it helpful? Was it not helpful? The different types, the verified versus unverified, there’s different things in there that we have no idea how that can affect your overall score if you will. What I can say is this. If you focus on getting reviews from your current customers, which if you’re having 35 people a day and let’s just say in 3 three days you have a hundred people, well if you’re doing a really good follow up, you can get 8 to 9%, maybe even 10% of those people to leave you feedback and reviews. That means that you can get 10 new reviews every three days. These are reviews coming in from your customers. [00:20:23] Scott: These aren’t promos. This is people that have bought your product full price verified fully. This here will help your score over time. Period. Now, if you are getting these negative reviews or down votes or up votes, you need to look at that. You need to pay attention to that because there could be something you’re missing. There could be something in the product that needs to be tweaked. There’s something maybe in your communications that needs to be fixed. Anyone out there listening right now needs to understand that reviews and feedback that come in aren’t just a number that’s actually someone that’s doing it, we need to look and see what they are saying to see if we can fix that problem or if we can also learn from what they are saying they like about the product. Either way that’s how you will increase your score. It’s by getting more of those. I would really focus on that. I wouldn’t necessarily worry and focus on the negative part of it. I would worry about okay, let’s not try to fix the ones that are currently there. If there’s reviews there that you think people are, they are complaining about something that you could fix for them then send them an email, a private email through Amazon and offer to help them. I would also go on those negative reviews and I would comment publicly, I would do that as well. That’s also help any negativity that might come from it possibly by people that are reading these by saying, “Oh this is cool. This company actually cares about their customers and they’re responding to their customer.” I don’t know if you guys listened to it or not but hopefully you did but episode, recently episode 246 I did with Chris Guthrie all about tips on how to receive more “real reviews”, basically how to follow up with your customers and how to really do a really good job and kind of like the language to use when you’re communicating with them and kind of how to present the actual communications to them. [00:22:35] Scott: How to actually to actually talk to them. How to ask for reviews in a non-sleazy way. We talked all about that, we actually did a workshop too which there should be a replay link on that episode as well that you guys can watch. It kind of gives you more of a walk through. He also goes through and gives you the templates for creating these different types of emails so that’s something I would definitely recommend doing especially for you Wassim is to definitely make sure that you have some type of follow up sequence in place to your real customers that are buying at full price that are verified and that could really help you increase and improve your score. That’s how you would do it and that’s authentic, that is real. You’re not trying to game the system, this is you really trying to take the customers that are already going through and allowing them to leave you feedback and reviews and hopefully if you’ve got a good product and you’ve got good communications with them they’re going to leave you a really good review. Anyone that hasn’t left a good review or maybe it’s a negative review you would follow up with them. Never ever, ever say, “Could you change your review?” Don’t ever say that. That’s against the terms of service. But you could just do your best to really over deliver and hopefully they will do that and even if out of five people you get one person to do it that could help you bump your score. Hopefully this isn’t affecting your conversion rate which it may if you’re 3.9 and if you can get to a 4.5 that could increase it but I’m not really sure because I don’t have all the data. I would think that if you get lower, it could affect your conversion and that’s where you would want to definitely make this one your primary focus. Right now if you’re getting 35 to 40 units a day sold then my focus would definitely be that follow up to make sure that everyone that’s going through your system, your follow up sequence is getting value and you’re making sure that they are taken care of, bottom line. [00:24:36] Scott: Again episode 246. I’ll throw that in the show notes as well, so that’s theamazingseller.com/246 that’s with Chris Guthrie. We’ll also have a link there to a reply we recently did as well and there’s some downloads there too that you can copy and paste some of those templates for those follow ups. Definitely do that. Hopefully that’s been helpful, thanks again Wassim for being a listener. I really appreciate it and for everyone else out there that’s a listener and just a fan of the show. I just want to thank you guys again on a side note here. You guys are awesome and I really, really appreciate each and every one of you. All right let’s go ahead and listen to one more question and then I’ll give you my answer and we’ll wrap this thing up, what do you say let’s do this. [00:25:24] Sam: Hey Scott, this is Sam from Huston. I have been new to FBA and I have been starting selling since last month. My product sales are increasing day by day and this month I’ll be reaching like $3,000 a month. That’s just the product sales not the profit. My profit they are around 33% like a [inaudible 00:25:50] $10 price, $10 profit, $10 fee. I’m using the same formula you’ve been using. I was having a little bit of issues with my products. Actually my product is like a wholesale product. It’s not a private label thing. What I did was I bought something from wholesale and I broke them down into different quantities and sold as a small batch of quantities. My products are doing good. I’ve been using pay-per-click and that’s helped me rank. My issue right now is the scaling part. The thing is I can buy those box, I can buy units, the hard part for me is I have to buy big boxes, break them down into small batches, bag then ship it, which is making it hard for me to scale my business. My competitors are doing good sales around $50,000, $60,000 a month. I don’t know how they have been doing that. I know for sure they have been buying from wholesale and breaking them apart too because the manufacturer doesn’t produce that item into small batches. What can you suggest for me to scale my business because unless I hire somebody else break those items and package into small batches there’s no other way to make those items? [00:27:28] Sam: You can take an example like plastic cups. What I’m doing is buying a big roll of plastic cups like a 1,000 pieces and breaking them into smaller batches like 10 cups a pack and selling them for $25.99. That’s just an example, not a plastic cup but can you give me any solution how can I scale business without investing a lot in employees or something? Is there any way to do that? Can I outsource packaging to any other different companies? Your kind information will be helpful, thank you. [00:28:09] Scott: Well hey Sam, thank you so much for the question and I really wanted to answer your question because there’s a bunch of things I want to pull out of that, what you just kind of explained. Anyone else out there that’s listening right now I want you to understand what same just explained that he’s doing. Now here’s someone that took something that comes in a pack. Let’s say that you have a package of a 100 cups but you break them into a 10 pack and then you sell them individually. That’s like super, super easy to do if you find something that is selling packs of 10 and you can buy a pack of 100. All you’re doing now is breaking them down into smaller packages and people don’t have to buy a 100 of something. Again not sure if this is going to be a long term brand building growth type thing, don’t know but anyone out there that’s thinking to themselves I wonder if there’s something that I could do where there’s not a lot of risk and if I’m able to launch something and see if this thing can work for me and maybe learn the system in the process this is how you would do that. Literally this is how you would do that. You buy something in bulk, you break it down into smaller packs and then you sell them like that. That’s brilliant and I think it’s awesome right out of the gate. I mean $3000 of revenue is great. To start and especially at a really low risk model like this is awesome. So congratulations on that Sam and way to go on taking action. To answer your question number one you could hire someone to do this I think you already kind of mentioned that. You can hire someone to package these for you. You can say okay cool these are selling in 10 packs I’m going to have somebody to do these, I’m going to pay them $10 an hour, how many can they do in an hour? That’s where you’re going to add to your bottom line cost. Let’s say that, I’m going to do some really rough math here, but let’s say that you paid them $10 and it averages out to where they were able to get X amount done so it worked out to maybe 10 cents you were paying to have them package up however many packs that would be. I don’t even want to do math right now. [00:30:16] Scott: Let’s just say what would that be? A 100? That would be a 100 packs so a 100 packs. You’re getting a 100 packs done for basically $10, that’s 10 cents apiece. You hire someone, you could hire a kid after school to do these. You could hire a college student who wants a part time job, you could hire a stay at home mom. There’s a bunch of different ways you could do that. You can even have it all shipped to their house and then they’re going to package it all up and you can even have them ship it out for you. That’s like hiring someone we call them a virtual assistant and they’ll do it for you, we could do that. If you really want to scale it, you either can scale that model and have other people doing that for you or you could then look into maybe having it co-packed. Then maybe you could have a co-packing company which basically does exactly what I just said. You’re just going to give them all of the parts and the components and then they’re going to pack it. That’s why it’s called a co-packing place. You would have to go out there. I don’t know any off top of my head that I would recommend, just Google it and you’d start getting some quotes on what’s it’s going to be and what’s it’s going to take. The other option would be to look and see what you’re buying in packs and see if they will break it down into smaller packs and maybe that’s a solution and that’s how you would scale it. Those are just a couple of ideas on how I would probably go about scaling something. Again I want people to understand that if you can start like this it might be more labor upfront but you can then validate and then once you validate then you can figure out how to scale. My good friend Rich Kibble you guys might have heard me talk about him before he’s actually one of our private label classroom students he started doing it this way. He bought two different items from China, he had them shipped to his door, he took both of those put them into one package and then that was his product. [00:32:08] Scott: He had to fulfill them himself, well not fulfill, he had to package them himself and then they shipped them into Amazon and then they fulfilled them but he had to put the package together. Once he figured out that it was going to work he then talked to his manufacturer and his manufacturer said, yeah just send me the other part and then we’ll package it here in one box. You can actually do that too, you can communicate with the manufacturer and say, “Hey, listen I want to buy your cup but I also want to put in a bowl. I know you don’t make bowls but I’m going to send that bowl to your company can you package that? I need a box that’s 8 inches by 8 inches and can you source that box for me?” They’ll usually say, “Yes.” If you can make that happen… Again it’s a way for you to leverage your manufacturer or vice versa, maybe the one company won’t but the other one will so then you just have them ship it to the other company and let them package it. That’s another way that you can do it. There’s other ways that you can do this but again I think the important point here and the important thing I want people to take away from this is that you’re taking something in bulk and you’re condensing it down into smaller packs and you’re selling those. Again there’s not a lot that’s going to differentiate you unless you’re going to take those 10 cups and then add in like I said maybe a spoon and fork set. I don’t know I’m talking about if you’re going to have something for picnicking or something. You get what I’m saying. That’s the only way and then again that could still be copied or if you’re going to have maybe a dispenser that held the cups and then the cups in it and then you just added 10 cups to it. Whatever it is you get the idea. You’d have to differentiate because once someone sees that these are selling it’s going to be easy for them to come in do the same exact thing. Maybe that’s what you already did and now you’re trying to figure out how they’re doing it and again you just have to be careful with that because that means that someone else can do it easily too. In this case it is a little bit harder because we are taking a bulk item and we’re breaking it down and now you’re trying to figure out how you can do that so it doesn’t cost you as much so this way here you can do it and still make a profit. [00:34:14] Scott: Hopefully this has been helpful. Again you got to think outside the box a little bit, you have some options there to look into. Good luck to you, keep me posted and I want to thank everyone for submitting their questions for this week’s episode. I also want to remind you if you have a question and you want me to listen to it and air it on the show head over to theamazingseller.com/ask and you can do that. You can ask a question there and I’ll do my best to answer it. I want to remind you guys too if you want to hang out with me on Friday afternoons right now we’re doing something we’re calling the TAS Power Hour and it is on Fridays at 1 o’clock p.m. eastern time. Right now we’re kind of in a pilot stage where we’re just kind of see how it goes. We’re going to do a few episodes and so far so good it’s been awesome. I just want to remind you of that. If you wanted to watch on Facebook live you can just head over to theamazingseller.com/hour and that’s going to take you to the TAS fan page, not the group, the fan page and then you’ll just like that page. Once you like that page you’ll now get notified when we go live. If you’re in the TAS Facebook group that will also have a feed being displayed there, you’ll also be notified when we go live on that as well. Periscope you can always find me there. That will be broadcast simultaneously there so you can head over to Periscope and you can just search for Scott Voelker and you’ll find me and then you can just subscriber there. There’s a few different ways that you’ll find us doing the Facebook Live or the TAS Power Hour. Definitely come on over and hangout with us. 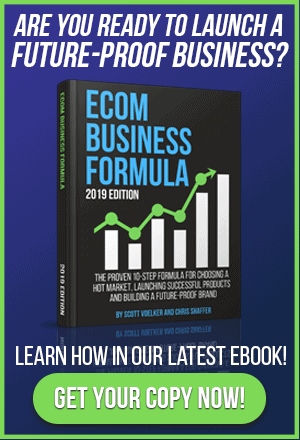 It’s another way for us to connect with you, answer some questions and just really just talk about this whole online business stuff and ecommerce on Amazon. It’s what we do so why not come on over and hangout with us. It would be really awesome. That’s it guys, that’s going to wrap it up for this episode. I want to remind you about the show notes as well. You can download the show notes, the transcripts, all of that stuff over at theamazingseller.com/259 and you can grab all that stuff over there. All right guys that’s it, that’s going to wrap it up. Remember I’m here for you, I believe you and I’m rooting for you but you have to you have to… Come on say it with me, say it proud and say it loud, “Take action!” Have an awesome amazing day and I’ll see you right back here on the next episode. www.TheAmazingSeller.com/246 – episode about getting real reviews. www.TheAmazingSeller.com/HOUR – you can join the TAS live broadcasts. I launched a product last year, in Toys and Games. There is really only one competitor who seems to be doing any real sales, they have about 300 reviews. Their BSR at this moment is at 11,000 in Toys and Games…I think its pretty consistent. I basically lost money with this product. I ran PPC in the red until I couldn’t afford to anymore. I know what keywords to target, and I am wondering if this is simply a matter of getting to page 1…because I have made my listing pretty attractive. But trying to rank using PPC cost me a fortune. I’m considering doing a zonblast to just throw it onto page 1 for my main keyword. My logic is that it would be the last thing I could do to see how this product performs…aside from a few more better photos, and also increasing my reviews (I was using amztracker group, but I couldn’t afford to keep giving product away). Im more than willing to drop this product for now and focus on launching new products. But I also think since were in the 4th quarter, maybe this product could be successful by xmas. Thanks for the reply. Im pretty buried in the search results for the main keyword, so I figured it will probably stay there throughout q4. When you say wait and see, do you mean just leave it completely alone, or would you do something to get it ranking before xmas? Hey Robbie, I’m saying I wouldn’t just give up on it. I would keep working on it and see what happens in q4.